Federal state budgetary institution "the Kaliningrad interregional veterinary laboratory" - a modern diversified and dynamic institution.His story goes back to 1946, when it was founded as Königsberg by the regional veterinary and bacteriological laboratory was later renamed to Kaliningrad. For five decades, changed the name, expanded the scope of activities. But a turning point for the lab was in 2004: she became part of the Federal service for veterinary and phytosanitary surveillance of the Ministry of agriculture of the Russian Federation. After the status has changed and functions. At present Federal state budgetary institution responsible for the implementation of unified state policy in the sphere of veterinary, quarantine of plants, seed breeding, agro chemistry, soil fertility and the quality and safety of grain and products of its processing. Test center established on the basis of the fgbi "Kaliningrad MVL", accredited at the Federal and international levels, which means official confirmation of the ability of the laboratory to meet the requirements of customers in the field of research. In addition, the accreditation Association of analytical centres "Analytics" which is a party to agreements on mutual recognition of results of accreditation APLAC and ILAC, the results of the research testing centre of the fgbi "Kaliningrad MVL" has gained international recognition. The laboratory conducts research in accordance with its scope of accreditation, in the framework of the state order, and on applications of individuals and legal entities. The institution has a full material and technical base necessary for conducting tests at a high level, including modern analytical (gas and liquid chromatographs, mass spectrometers), test and support equipment, standard samples and reagents, diagnostic kits and nutrient media. 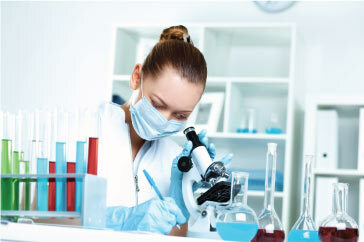 The laboratory staff conducting research, have high qualification and great experience. They regularly improve their knowledge of the leading educational institutions of Russia and abroad, participate in workshops and conferences, as well as confirm their skills by passing interlaboratory and international comparison tests.